The concept of “the alienated child” has been discussed and debated ever since the phenomenon was initially noted by Wallerstein and Kelly (Wallerstein & Kelly, 1976). They first described it as “a pathological alignment between an angry parent and an older child or adolescent that arose from the dynamics of the separation, including the child’s reaction to the divorce” (Kelly & Johnston, 2001, p. 249). Then, Gardner (1998) offered his understanding, suggesting that this phenomenon could be considered a diagnosable syndrome, in which a child has been severely brainwashed by an aligned parent to the point of pathologically rejecting the other parent (Gardner, 1998; Kelly & Johnston, 2001). Subsequently, researchers have adopted a more multi-dimensional approach, which has paved the way for court professionals and families alike to understand this phenomenon as unique, extremely sensitive, and the result of many interacting factors (Kelly & Johnston, 2001; Friedlander & Walters, 2010). Having a benign preference for one parent over the other is a developmentally normative process, often experienced by children in intact, as well as in divorced families (Friedlander & Walters, 2010). Under the stressful conditions of high-conflict parental separation, it is possible that this alignment can get further solidified, often by way of the child feeling the need to protect the preferred parent (Friedlander & Walters, 2010). Importantly, at this point, the child still cares for the other parent. Friedlander and Walters (2010) suggest that, because of the increasing conflict and stress, the child is faced with a dilemma: Having to balance a preference for and increasing idealization of one parent, while still caring for, and being cared for by the other parent. This inner conflict, or cognitive dissonance (Festinger, 1957), can then be resolved by employing an avoidant response, which results in complete rejection of the non-preferred parent. In this way, the child can eliminate the stress of catering to both parents, and merely focus on giving support to and receiving support from the aligned parent (Friedlander & Walters, 2010). My proposition is that the competing interests of caring for the other parent and the idealization of the aligned parent creates a dissonance so intense that resolution involves allowing for the accumulation of all of the child’s pain, stress, and anxiety to be projected onto the rejected parent in such a way that the rejected parent becomes a tangible manifestation of any discomfort the child has experienced thus far. It closely follows that, after the point of this “resolution,” even the thought of interacting with this parent would be intolerable, as that parent now embodies the entirety of the child’s suffering. The exact mechanics at play here are certainly complex and varied. However, the basics of how this might occur would involve the child shifting his or her preference towards the “aligned” parent as a means to resolve this immense dissonance (Festinger, 1957), with subsequent rationalization of behaviors towards the rejected parent, and with the child projecting the intense pain onto the rejected parent. The immense pressure and emotional turmoil experienced by the child could lead to “all or nothing” thinking, as characterized by Eddy & Saposnek’s (2012) notion of “splitting.” The child applies this black and white thinking in order to resolve the dissonance felt regarding the parents; further idolizing the aligned parent, while assigning all negativity to the rejected parent (Eddy & Saposnek 2012). This way of thinking additionally inhibits the child’s capacity to perceive that the rejected parent has any positive attributes, thus furthering the rejection. This process is beyond simply blaming the rejected parent, but rather assigning the rejected parent to be a tangible representation of the child’s pain, thus inciting profound revulsion within the child. Furthermore, as these processes of projection and splitting are occurring, and the child begins acting on this dissonance resolution (e.g. refusing to interact with the rejected parent), the child can rationalize his or her beliefs and behaviors towards the rejected parent using a number of reasons that, by that point, would feel logical to the child (e.g. “[The rejected parent] is the reason for [the aligned parent’s] pain, so I don’t need to be involved with him!”). Please note that this author’s perspective takes into account that child alienation is likely to be the result of a multitude of factors. (The reader is referred to Kelly & Johnston, 2001, and Friedlander & Walters, 2010 for a more complete description of what these interacting factors might entail.) The suggestion that the rejected parent represents a manifestation of the totality of the child’s distress mostly serves as an explanation for why the rejection of and reaction to the rejected parent is so extreme. This perspective does not adhere to the earlier view that a personality-disordered brainwashing parent is inherently the cause of all child alienation. This postulation that the rejected parent is now a representation of all the child’s anguish lends suggestion as to why interventions are so challenging, when dealing with alienated children (DeJong & Davies, 2012). If the child perceives the parent as essentially a materialization of all that is wrong, it intuitively follows that the child will be shut down to any ideas suggesting that this parent has anything positive to offer. Models of intervention which are child-focused, as opposed to parent-focused, are imperative. When the circumstance of an alienated child is suspected in a case, it is the court’s responsibility to take action immediately. Forced interaction, as suggested by Gardner (1998), is absolutely not the correct way to address this (Kelly & Johnston, 2001). Since children can have potentially lethal reactions to being forced to see the rejected parent, in no circumstance is the risk of further harming the child an acceptable approach to this problem (Kelly & Johnston, 2001). It is crucial for all parties involved to recognize that, when the child is holding very extreme beliefs and negative associations regarding the rejected parent, these perceptions must be taken seriously. While attempting to resolve the alienation, it is most likely in the best interest of the child to remain with the preferred parent. When considering interventions for child alienation cases, most important to remember is that the child’s safety comes before parental emotions, and that effective intervention is not going to be instantaneous. Intervention techniques described by Johnston, Walters, and Friedlander (2001) place an emphasis on working with the entire family, and understanding that the primary goal of therapy is to reconstruct the alienated child’s perspective of the rejected parent. Ideally, this perceptual reconstruction will lead to reintegration of the child with the rejected parent. However, technically, this is not the primary objective. Johnston, et al. (2001) describe multiple approaches for therapeutic intervention with an alienated child and the family, and they emphasize the possible advantages of having a therapeutic team, rather than just a single therapist. A reformulation of this idea that integrates an understanding of available financial resources follows. Rather than a team of therapists and specialists, my suggested approach requires one mental health professional trained to provide a variety of services, and a volunteer Child Advocate for the alienated child. The mental health professional would be educated/experienced in high conflict court cases, childhood alienation, family counseling, and custody evaluation. The mental health professional in this setting would be encouraged to have additional specialties in order to work on cases that have other important family dynamics at play. For example, it would be extremely valuable for this individual to be well-versed in mental illness, domestic violence, and poverty, and how these circumstances (as well as others) will impact family outcomes in high conflict cases. The volunteer Child Advocate would primarily serve to foster a supportive environment for the alienated child, as well as to serve as another resource for input regarding parenting plans and custody. Ideally, this support-centered dynamic approach would be so comprehensive and effective that these cases would be resolved in a much more timely manner (in comparison to current methods). Quicker resolution of these cases would mean decreased use of court time and resources, and thus could be an extremely valuable option for child alienation cases. Additionally, the mental health professionals could function in regular court cases as well, and compensation could be based on what specialties they are using, on a case-by-case basis. The families would be required to pay for the mental health professional, but exact costs would be determined by an income-based sliding scale. While resources would have to be found for the leftover costs, these costs would almost certainly be lower than having to pay an entire team of professionals, or having these high-conflict cases take up courtroom resources for comparatively much longer stretches of time before resolution. The training required for the advocate position could be funded by the interested persons themselves, and could either be donation-based or calculated, based on a sliding scale. Furthermore, the advocate position could be modeled after the successful advocate organization CASA (Court Appointed Special Advocate), which also recruits volunteers to help youth through intense court situations (Note: CASA functions in Dependency Court, so a Family Court equivalent would be novel). The implementation of this approach would require input and support from the court, to ensure cooperation and compliance by both parents. Generally speaking, a court order for co-parenting classes is strongly recommended, in order for the parents to gain baseline insights, as they embark on this comprehensive intervention to address their child’s specific needs. Additionally, when a child alienation case is first identified, the court should take additional, specific familial dynamics into account, in order to match the mental health professional with the specific needs of the case. This is where having a variety of backgrounds or specialties regarding family contexts comes into play for the mental health professionals. The initial task for the mental health professional would be to do a comprehensive evaluation of each family member, and all family relationships, in order to get an accurate idea of what family dynamics are at play. The reader is referred to DeJong and Davies (2012), who elaborate on what these evaluations should include. To summarize, the broad goal is to gain insights into what each family member believes has led to the child alienation. Next, the mental health professionals must individualize their therapeutic methods by focusing them on the role of each member of the family. The reader is referred to Johnston et al. (2001) for an extended explanation of what counselors should focus on when working with various family members. The counseling has an immediate goal of understanding the perspective of each family member, appropriately reconstructing the perspectives regarding the family dynamics (namely, their respective views about the rejected parent), and, importantly, educating the parents on the detrimental effects that sustained rejection of a parent can have on the alienated child (Johnston et al., 2001; Friedlander & Walters, 2010). Additional attention must be paid to working with the aligned parent, and making sure that the parent understands how his/her cooperation and support is an undeniable necessity for any progress to be made (DeJong & Davies, 2012; Johnston et al., 2001). In addition to psychological assessment and counseling for the family, the mental health professional would also take on an educational role, and/or parenting coordinator role, when needed, as well as being the court-appointed custody evaluator. Assuming the mental health professional has backgrounds in child development and general parenting strategies, he or she would assist in educating the parents on how to better address their parenting methods to the particular developmental needs of their children. If necessary, and as resources allow, the mental health professional can also act as a parenting coordinator, aiming to foster an environment conducive to inter-parental cooperation. The suggestion for a volunteer Child Advocate separate from the mental health professional stems from the recognition that these cases are highly tense, conflictual, and often frustrating. Since efforts put into these circumstances can often feel futile, it is understandable that parents and professionals alike may harbor frustrations towards the alienated child. Having an independent advocate can help maintain a supportive environment for the child, in which the child feels listened to, protected, and validated. As mentioned above, the Child Advocate role would likely look similar to the CASA role for youth in dependency court. A CASA is a volunteer who has undergone 30 hours of pre-service training, and additional in-service training, with regular supervision and support throughout. A few key training points that the CASA program utilizes include education surrounding communication with children who have experienced trauma, proper documentation of interventions and situations, ability to recommend local services for the child and family, and efficiently gathering and presenting information for the court to aid in making final decisions regarding the child. CASA utilizes federal funding, in addition to private donations. The Child Advocate role would require a similar financial model, with the added suggestion that interested volunteers have the option to contribute financially to their training costs. Though developing this system would take an initial investment of time and money, the support from the Child Advocate could be crucial to the child’s reception of intervention. A case involving an alienated child is an undeniably complex problem. It is imperative that we understand the extent of discomfort the child feels towards the rejected parent. 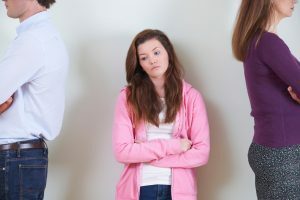 It is quite possible that the rejected parent may very well be seen by the alienated child as a tangible manifestation of all the pain brought on by the parental separation. When dealing with these cases, we cannot leave alienated children alone to figure out what will become of Mom and Dad. We must address the situation head on, and in a sensitive manner, to make sure these children understand that they don’t have to choose Mom or Dad, but rather can learn to manage happy relationships with both parents. A key way to do this is to take a multidimensional and comprehensive approach, emphasize aligned goals among family members and court professionals alike, and successfully build a comprehensive network of support for all parties. DeJong, M. & Davies, H. (2012). Contact refusal by children following acrimonious separation: Therapeutic approaches with children and parents. Clinical Child Psychology, 18(2): 185-198. Friedlander, S., & Walters, M. G. (2010). When a child rejects a parent: tailoring the intervention to fit the problem. Family Court Review, 48: 98–111. Gardner, R. (1998). Recommendations for dealing with parents who induce parental alienation syndrome in their child. Journal of Divorce & Remarriage, 28 (3-4): 1-23. Johnston, J., Walters, M., & Friedlander, S. (2001). Therapeutic work with alienated children and their families. Family Court Review, 39(3): 316-333. Kelly, J., & Johnston, J., (2001). The alienated child: A reformulation of parental alienation syndrome. Family Court Review, 39(3): 249-266. Eddy, B. & Saposnek, D. & (2012). Splitting America: How Politicians, Super PACs and the News Media Mirror High Conflict Divorce. Scottsdale, AZ: High Conflict Institute Press. Wallerstein, J.S., & Kelly, J.B. (1976). The effects of parental divorce: Experiences of the child in later latency. American Journal of Orthopsychiatry, 46(2): 256-269. Maddy Cacciatore received a B.A. in Psychology and a B.S. in Molecular, Cellular, and Developmental Biology from the University of California, Santa Cruz. She currently works as a Crisis Counselor in the housing sector of a youth centered non-profit (Social Advocates for Youth). 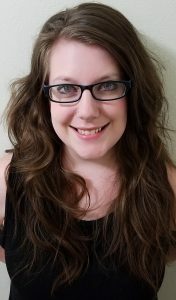 The next stop in her social services journey is to reach for a Master’s in Social Work. Trevor and Irin, you have my sympathy. I know something of the anguish a parent feels when a child is alienated. Ms. Cacciatore did suggest an approach for improving the situation. It included a mental health professional trained to provide a variety of services, and a volunteer Child Advocate to provide support for the alienated child. I do not know how well that approach might work. Is your ex trying to turn your child against you? Is he or she trying to convince your child that you are unsafe, unloving, and unavailable? Sadly, some parents do this to their children, with or without realizing that they are harming the children immensely. Children in these circumstances need the targeted parent to keep loving them and trying to build a positive relationship. What can you do when facing your ex’s hostility and your child’s rejection of you? Dr. Amy Baker describes signs and symptoms of parental alienation, how to avoid taking the bait when your ex and child provoke you, and how to maintain a relationship with your child even when your ex is actively and intentionally interfering and undermining that relationship. The interview is at https://www.voiceamerica.com/episode/96709/co-parenting-with-a-toxic-ex. There are nothing about exact ways how to improve a situation in your article. You have quoted approaches from old articles of 2001/2010 years and sayd about “professionals”. Nothing about a logic scheme which have to describe how to avoid a situation or what parents have to do with the alienated child. You are still punishing the alienated parent by your comments about keeping the child with the abuser.